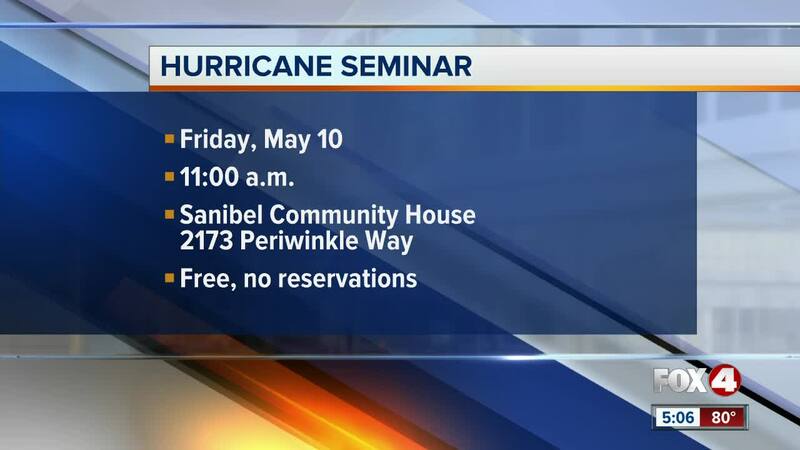 SANIBEL, Fla. — If you live on Sanibel, the city is hosting a hurricane preparedness seminar Friday, May 10th. It'll be at 11AM at the Sanibel Community House. The city conducts this event every year to educate homeowners, businesses and island workers. You can learn about hurricane categories, storm surge, family emergency planning, and other topics. It's free, and reservations are not required.